If you knew the extent at which my inner geekiness can lead to, well, let's just put it mildly and say you'd be amazed. But how could anyone, in their right minds, resist to post something like this? 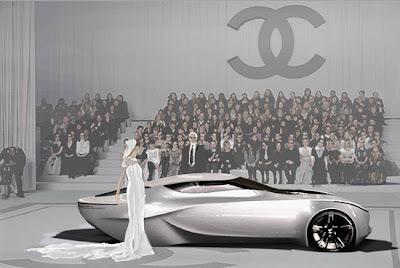 I mean, the Chanel Fiole concept car. Ta-dah! 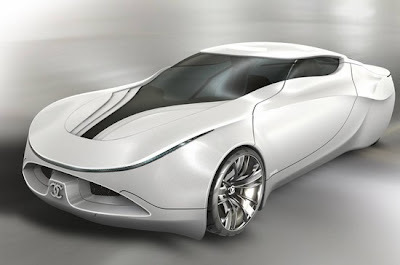 If you wonder who designed it, it's a South Korean car designer, Jinyoung Jo. It's a she, of course. A girl inspired by Chanel. Oh, the poetry in it all. But just to make clear one thing: if this car would be real, then it would mean glamour for the streets. You can't do it, can you? Because it's hard to refuse oneself the possibility of such a dream becoming true. We sure hope: maybe one day, who knows? oh my, can you imagine the looks from driving along the street in this?